Explore, learn, and make a difference in Montana's outdoor classroom. Solving our current environmental challenges and ensuring a sustainable future will require a new generation of professionals to lead the way. The world needs capable interdisciplinary problem solvers able to integrate sound knowledge and practice in natural science with the social, economic, political and ethical dimensions of the environmental problems we face in the 21st century. From field scientist, to resource manager, to policy maker, to outdoor educator, there is no limit to the ways you can make a difference. Carroll's engaged faculty and innovative field-based curriculum enable you to explore the many career opportunities available in the environmental sector while at the same time discovering your passions, interests, and abilities. All environmental science majors at Carroll begin by building a solid interdisciplinary foundation in sciences, social science and philosophy. The Environmental Science degree provides a soundly integrated and interdisciplinary science background supported by course work in analytical methods and applications, abundant field experience, as well as aspects of the human dimensions of environmental science. 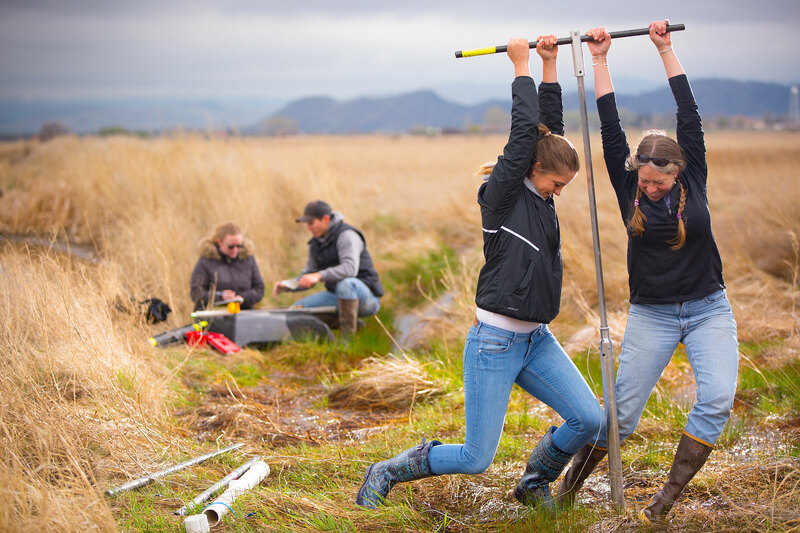 This major is a good option for students seeking a career path in scientific field work, environmental assessment, resource conservation, or those intending to continue studies in environmental sciences. Carroll also offers specialty focus areas of interest drawn from a wide field of possibilities including wildlife conservation, earth science, water resources, energy, environmental health, chemistry/toxicology, law and policy, sustainable agriculture, nature writing, outdoor leadership and more. Whichever direction you choose, you will benefit from an abundance of project-based experiential learning. Whether you head straight into an environmental career or continue with graduate study, you will be prepared to make a difference. Graduates will demonstrate an integrated understanding of basic environmental sciences and scientific practice. Graduates will demonstrate an understanding of the human dimension of environmental stewardship. Why Study the Environment at Carroll? Location. You won’t find a better place to pursue an environmental education than Montana, and specifically, Helena. Our campus is nestled between the Continental Divide of the Rocky Mountains and the Missouri River, we are surrounded by vast acres of National Forest, and a short drive to the crown jewels Glacier and Yellowstone National Parks. On any given day you may be exploring Yellowstone on snowshoes, taking sediment cores in a mountain lake, mapping trout streams, or studying alpine tree-line forest communities. Opportunities. In Helena, home to the Montana State Capitol, you are just minutes away from numerous and meaningful internship opportunities with organizations like the Montana Department of Environmental Quality, the EPA, Forest Service, the Department of Fish, Wildlife and Parks, Natural Heritage Program, Montana Wilderness Association and many others. Our students are sought after as interns for both summer, and semester-based internships. Graduates of our environmental science program are prepared to succeed whether they continue with graduate study or begin work right away. Our recent alumni have entered PhD programs at leading universities, been directly hired into permanent scientist positions at government agencies, and have found rewarding work as forest ranger/ naturalists, non-profit development directors, and environmental consultants. Dr. Patricia Heiser, Director of the Environmental Program at Carroll, is an earth scientist with a Ph.D. from the University of Alaska, and 20 years of experience in the field and classroom. She is passionate about teaching, guiding students as they discover their interests and abilities, and finding research projects to keep them busy.